Canada’s Green Industry Show & Conference. 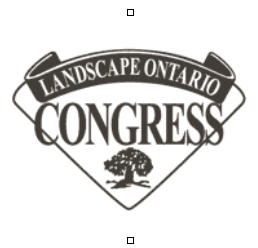 Landscape Ontario is the Canada’s largest green industry trade show and conference. It offers a variety of options with educational sessions, conferences, feature events, keynotes. Mostly appreciated are entertaining Life Lessons at Lunch and in-depth talks at the Owner’s Only workshops. Professional development events start January 11th, the day before the Trade Show opens, and run to January 14th. Canada’s Premier Horticulture and Green Industry Trade Show and Conference is in its 42nd year. The Canada’s largest green industry trade show and conference is rated as one of the country’s top 10 shows. Landscape Ontario welcomes over 600 cutting-edge suppliers exhibiting on more than eight acres of show floor, the perfect place to find new products, ideas, equipment, tools, services and connections to make your business grow and prosper. Dozens of inspirational and educational sessions run throughout, making Congress a once-a-year opportunity to learn about emerging industry trends, access products and build new relationships. It’s always great to see what’s new on the market to make your business run better. From new equipment, tools and technology to new plants and planting innovations. Over 600 vendors are bringing innovative, international products and services to find out about and try out, a chance to get informed, meet potential suppliers and improve your business. In the Feature Gardens you can see landscaping visions materialize from our up-and-coming professionals. Students from Fanshawe, Durham, Humber, Niagara and St. Clair colleges and the University of Guelph design and build feature gardens for your review. Today, with more than 13,000 attendees, Congress is a great success and provides excellent value to our industry. The congress schedule includes special events like the Awards of Excellence Ceremony and the Tailgate Party; this is a free event open to all attendees, You will enjoy a tailgate-style dinner, entertainment and some great networking. Visit Maccaferri Canada at booth 1735 of the 2016 42nd annual Landscape Ontario Congress, Jan 12-14, 2016.